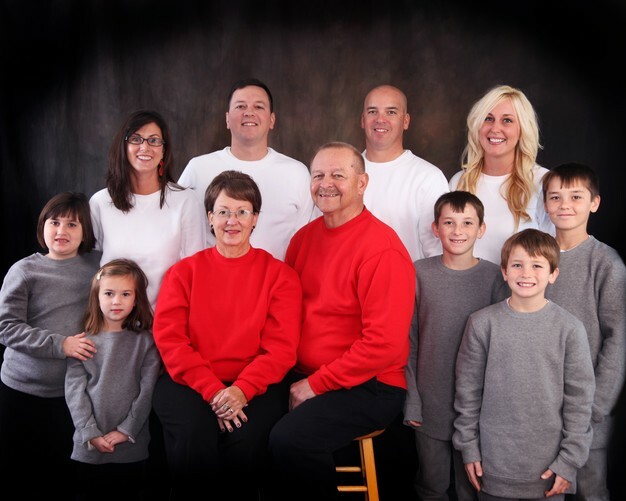 2 sons and 5 grand children. 3 boys: 18,15, and 13 and 2 girls 11 and 9. My oldest son, Doug,born in More…1970 lives here in Greendale and has the 3 boys. My other son, Dustin, born in 1975 lives in Nashville, TN and has the 2 girls. Ed Gordon has a birthday today. Ed Gordon has a birthday today. New comment added. Ed Gordon added a comment on Profile. Doug 38, my 3 grandsons,who are now 12, 9,and 7 and me with one of our Fire Trucks. Doug and I are both on the Greendale Fire Dept. I will have 40 years in the Fire service in September. 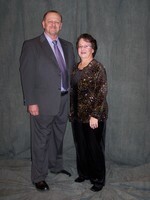 Connie, my wife of 40 years and myself at my former employer's holiday party. Jan. 31st 2009. This is my son Dustin,his wife Tricia and my 2 granddaughters, Harper,5 and Cassidy 2. Here we are in the big Farmer's Fair Parade for 2009! WWe certainly are a young looking group! My 2 sons and I at a family wedding! Love this pic!